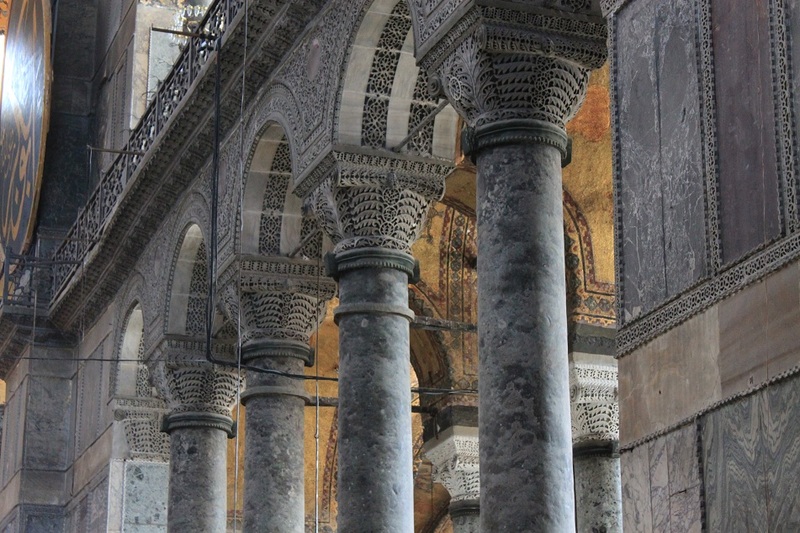 The Architectural Marvels of Constantinople | What an Amazing World! From the outside it is a structure of plain layers of bricks protruding from the exposed weathered pink wall, supporting a massive dome flanked by four minarets varying in size and color. A dull outer narthex with a more elegant marble-walled inner narthex separate the nave from the gates, conducting ancient congregations to the main praying hall. The minimalist outdoor appearance of this building deceptively hides the lavish embellishments inside. 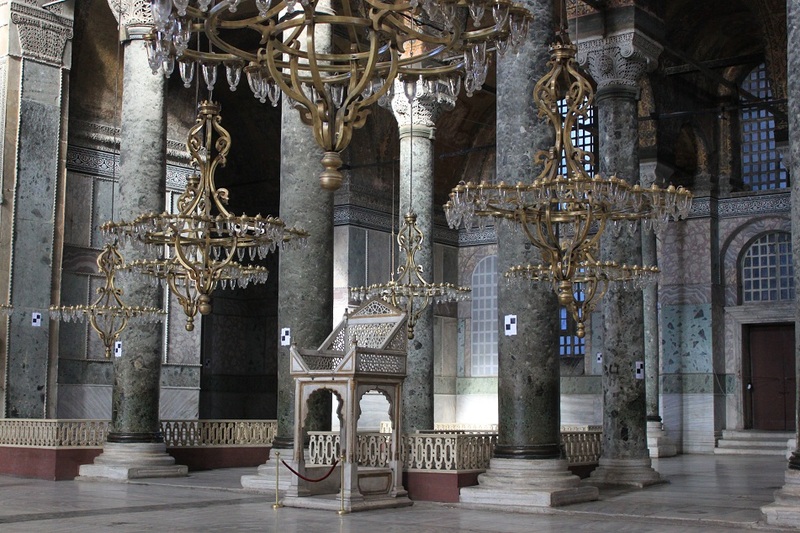 Rows of tall columns with ornate capitals, fine Byzantine mosaics, marble urns, and an intricate Ottoman minbar are only a few elements which elevate the splendor of the once largest cathedral in the world. On top of everything, a colossal dome covers the entire nave, almost seemingly floating from the ground. Hagia Sophia which was built in the 6th century under the command of Emperor Justinian I was the center of Christianity throughout most of its history. It held the title as the world’s largest cathedral for more than a millennium until the completion of the cathedral in Seville. Coincidentally the former was later turned into a mosque after the Ottomans conquered Constantinople, while the latter was once a mosque when Seville was still a part of the Moorish region in Iberia. 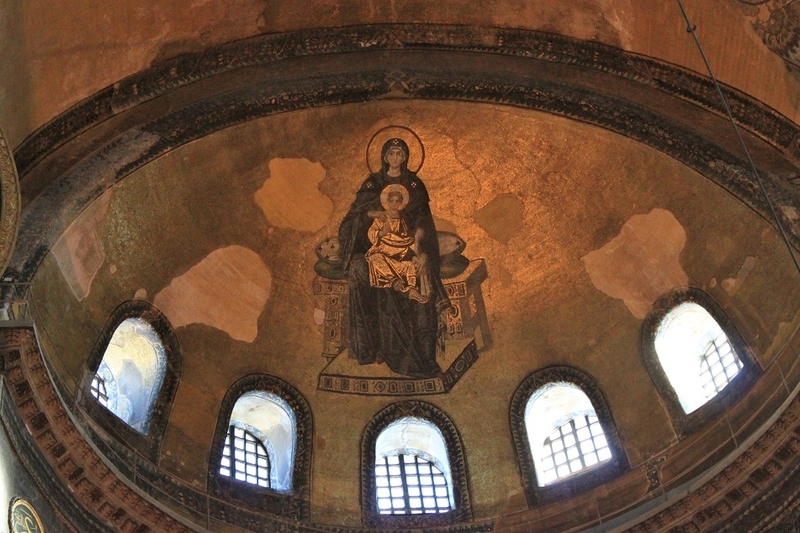 The beautiful mosaic of the Virgin and Child is flanked by two giant calligraphy of Allah and Muhammad at the apse of what is now a museum and UNESCO World Heritage Site. They are vivid reminders of how fierce the rivalry between the world’s two biggest religions to conquer regions in the old world was. Religious-driven clashes have long shaped the history of humanity. Despite bearing divine purposes, religious battles often brought up the worst of what a human could possibly be. Greed, pride, and other horrific attributes often came out from such events, and still do in modern time. However they also drove human’s creations and innovations to unimaginable limits, resulting in great architectural marvels such as Hagia Sophia, among other wonders and achievements. 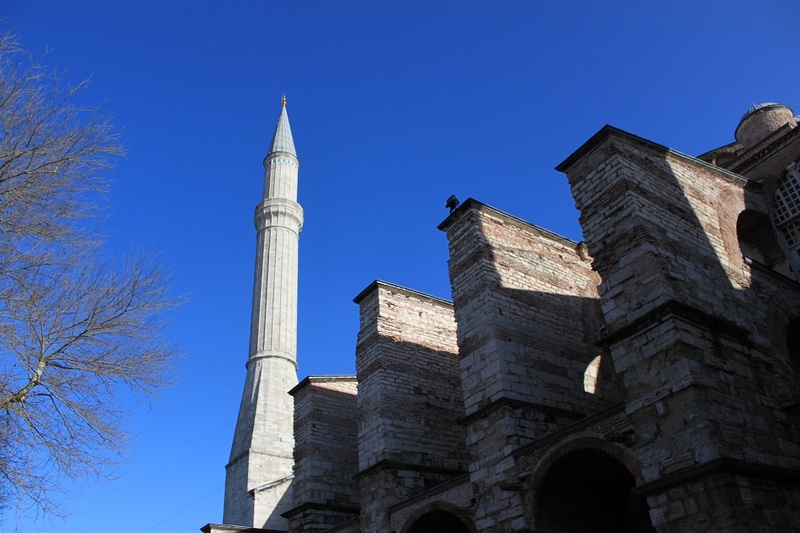 As turning the mighty Saint Sophia into a mosque was not enough for Sultan Ahmed I, he commissioned the construction of a new mosque right in the face of the former cathedral. 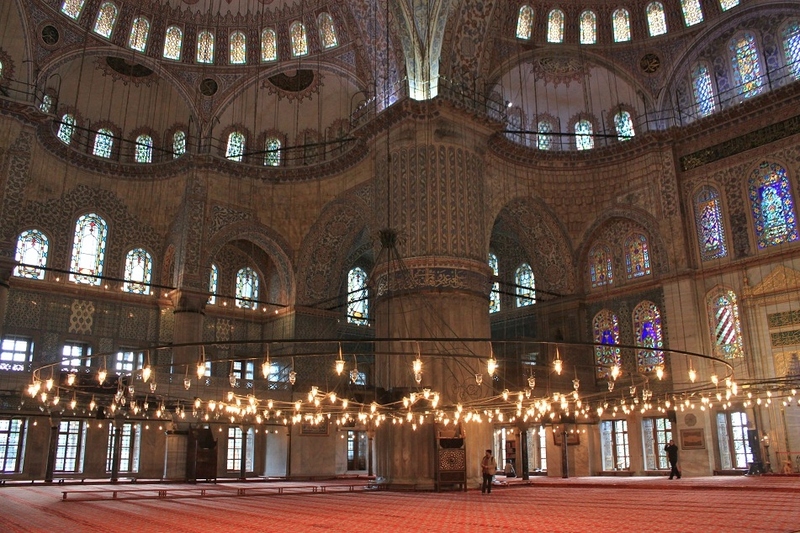 In the early 17th century Sultan Ahmed Mosque was built to rival the sheer size of Hagia Sophia. 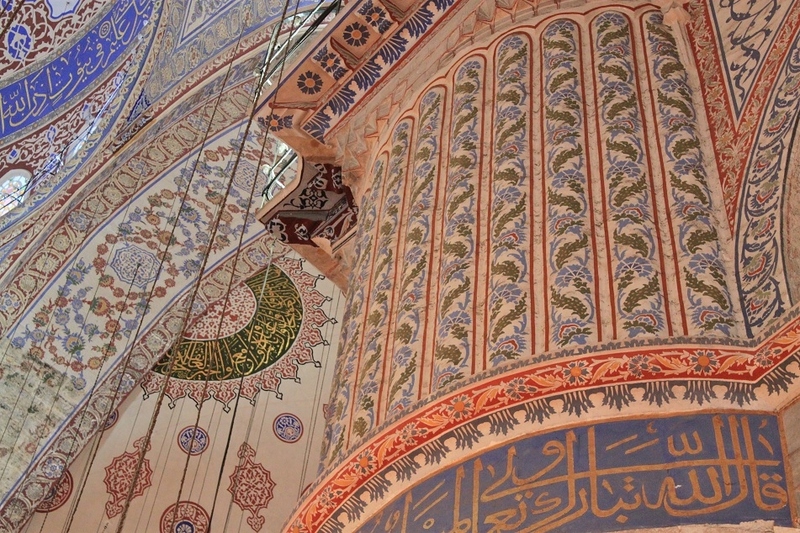 Adorned with six slender minarets, nine domes in various sizes, and more than 20,000 blue tiles with tulip patterns – hence the name Blue Mosque – it is one of the greatest mosques in Ottoman’s history. 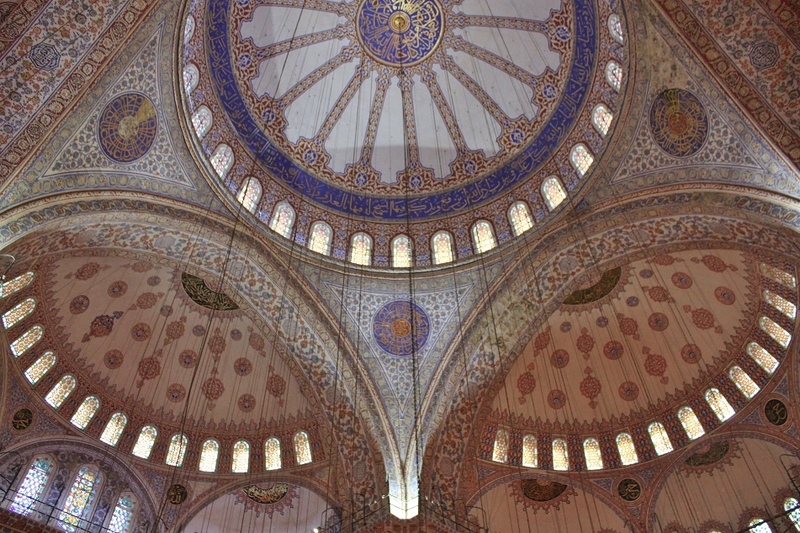 Looking up to the sublime decoration under the domes of the Blue Mosque, two giant owl eyes stare upon me, reminding me of the great knowledge and wisdom which were essential in designing and building this grand architectural marvel. 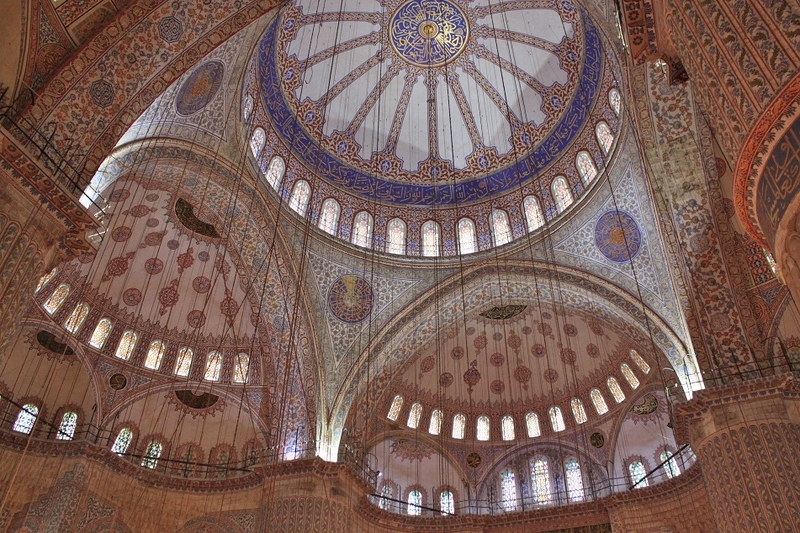 The Blue Mosque with its imaginary owl eyes which symbolize wisdom and Hagia Sophia which was named after the wisdom itself owe their creations to the long history of conquests of the great city of Constantinople, a series of events which ironically occurred often in the absence of wisdom. As I walk out of the mosque, I can clearly see the great dome and four minarets of Hagia Sophia. Probably Sultan Ahmed himself grinned when he saw the former cathedral from the newly built mosque – a notion of his victory. 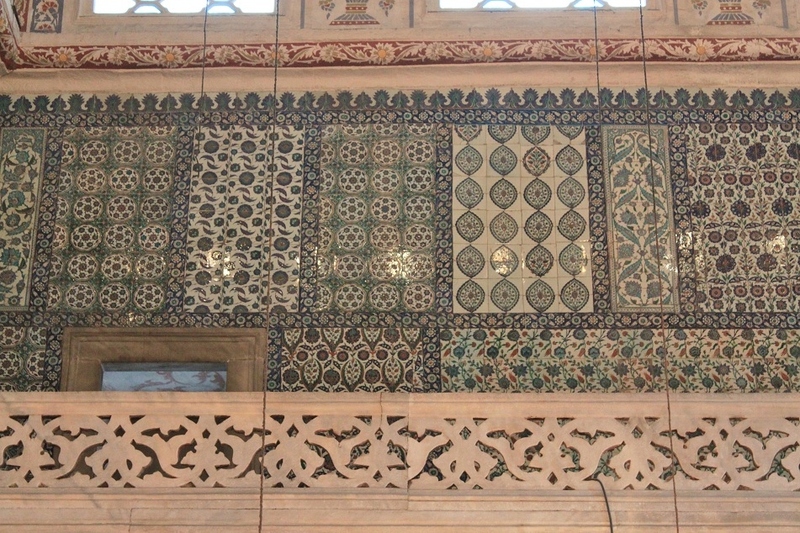 Centuries later there is no more sultan in the country and the old cathedral is now a museum. The two great monuments still stand strong, but devoid of the intense rivalry that filled the air during the time of conquests. 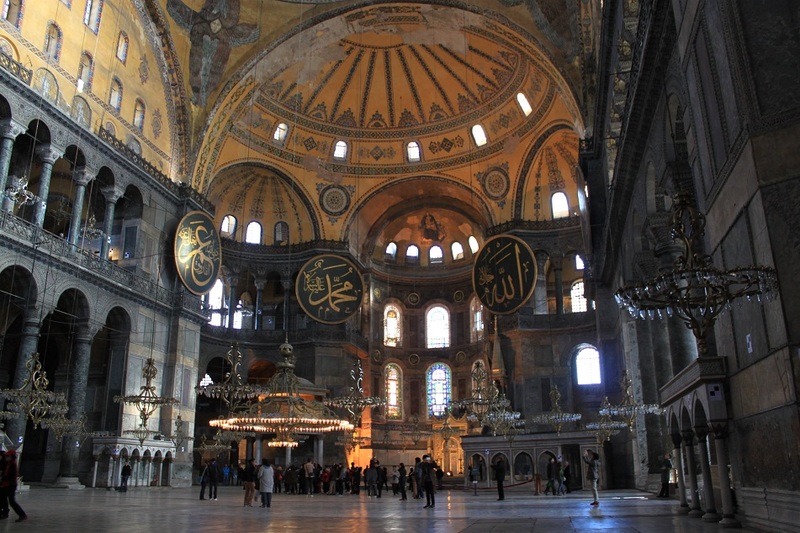 Both Hagia Sophia and the Blue Mosque are some of the most amazing buildings in the world, indeed. Ah, Bama – those two mighty buildings, and your wonderful photos, make for a memorable post. I loved the reverse tie up between Hagia Sophia and the Seville Cathedral – isn’t history a quirky dame? Thanks Meredith! When I read James’ post on the Seville Cathedral I knew I had to write about that too in this post as both sites share the same twist – although in reversed way. 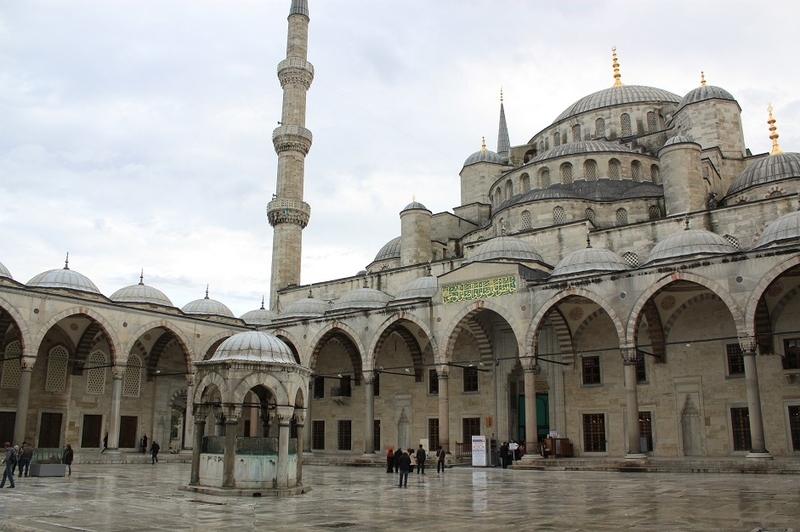 It is truly fascinating how the Blue Mosque took its main architectural cues from the Hagia Sophia… that level of adaptability seems to be a recurring trait of Islamic architecture around the world. In Spain the Umayyads took on the horseshoe arch from the Visigoths, and fashioned columns and capitals in a Roman/Byzantine-inspired style. Makasih James! I tell you how it felt: Spectacular! Yes I also read the same quote. When I was little I learned that Solomon’s (Arabic: Sulaiman) palace was the greatest the world had ever seen. So it was a rather bold claim by Justinian indeed. 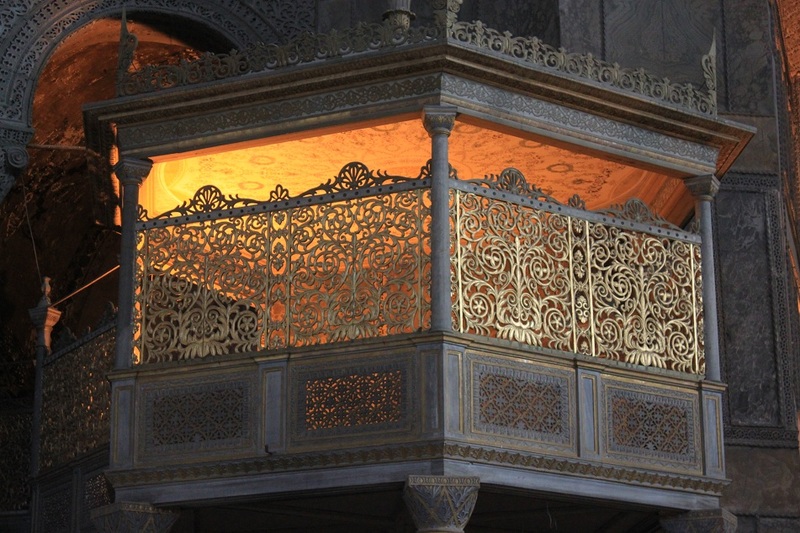 Speaking of Islamic architecture, you’re right to point out that recurring trait, I didn’t notice that before. Interesting observation! I’ll be visiting Istanbul this Feb, I love your shots! Kinda made me excited for the trip too! Any recommendations where to stay and eat? Bunch of Thanks! I stayed in Beyoğlu which is a nice neighborhood. It’s strategically located at the heart of the European side of Istanbul. Within a few minutes’ walk you’ll find a tram station, metro station, and Istiklal street. I stayed in an apartment though as I was traveling with some of my colleagues. Thanks and have a great stay in Istanbul! Stunning pictures! Thanks for posting them…it’s on my “love to see” list. 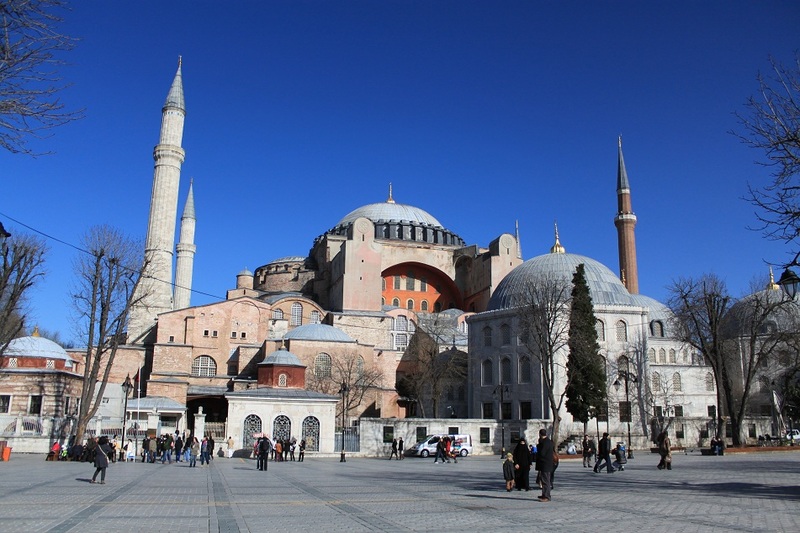 I never knew of the relationship between Hagia Sophia and the Blue Mosque. And thanks for dropping by! 🙂 Hagia Sophia and the Blue Mosque must be on everyone’s list I believe, not only history and architecture lovers. You’re welcome Timothy! 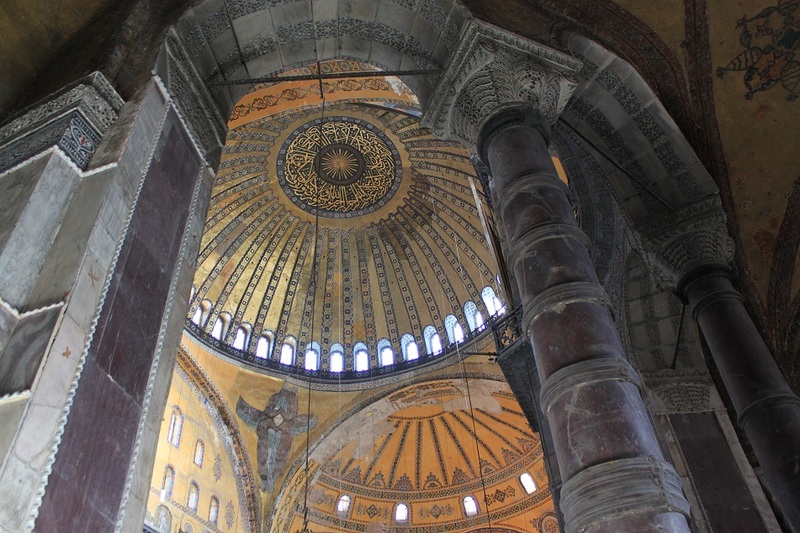 And the fact that Hagia Sophia is more than 14 centuries old is just stunning! 14 centuries?? Wow thats great! They still preserve it until now! Beautiful photos. I love the intricate designs and the grandness of the building! Its very true Bama you have to be there to feel and breath the amazing history and stunning architecture of both most incredible religious buildings ever. A year ago I booked my flight to Istanbul. Time flies indeed. I would go back to the city in a heartbeat. When we were at Haig Sofia there was a cat sitting in the fenced off ‘alter’ area. It was warming itself on one of the spotlights. I thought it was fake for a while since it wasn’t moving. Everyone was taking photos of it! 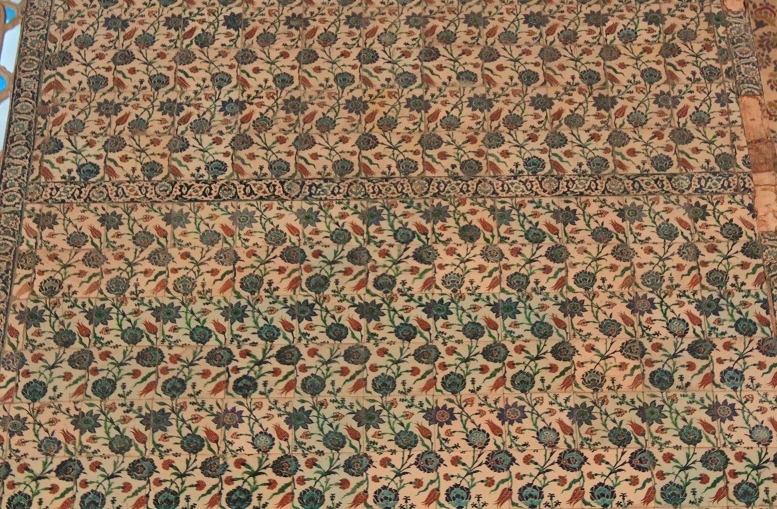 Floral patterns have been created by various civilizations since ancient time, each one is unique to another. Yet, some bear similarity with the others – a reminder of how closely related we truly are. Good eyes spotting the eyes of owl! That’s cool Bam. 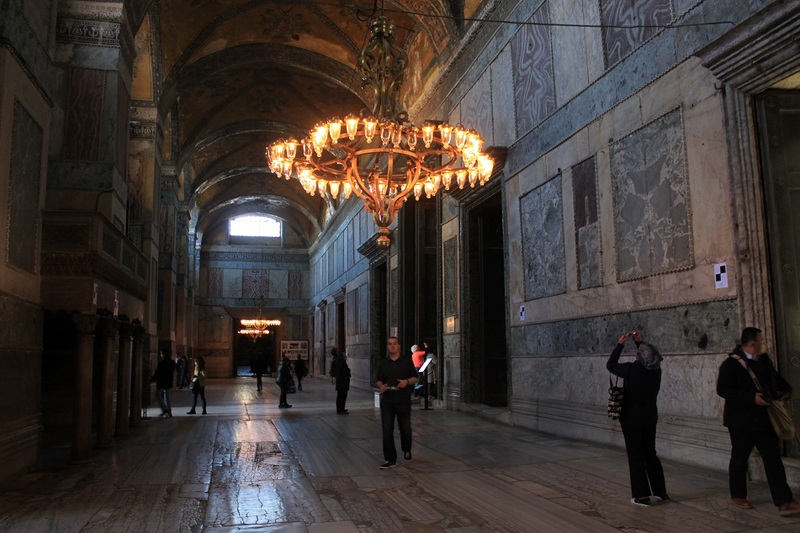 Hagia Sophia is truly magnificent arts come to life. I can almost feel the grandeur just by looking at your pictures dude. Thanks Robin! It takes only a little imagination to see the owl. 🙂 It reminds me of our visit to the Grand Mosque in Medan, but Hagia Sophia is ten times more grandeur and spectacular. Those are remarkable pictures and stories that remains in memory. Thanks! I do not really need to wikipedia all of those beautiful places in Istambul anymore. 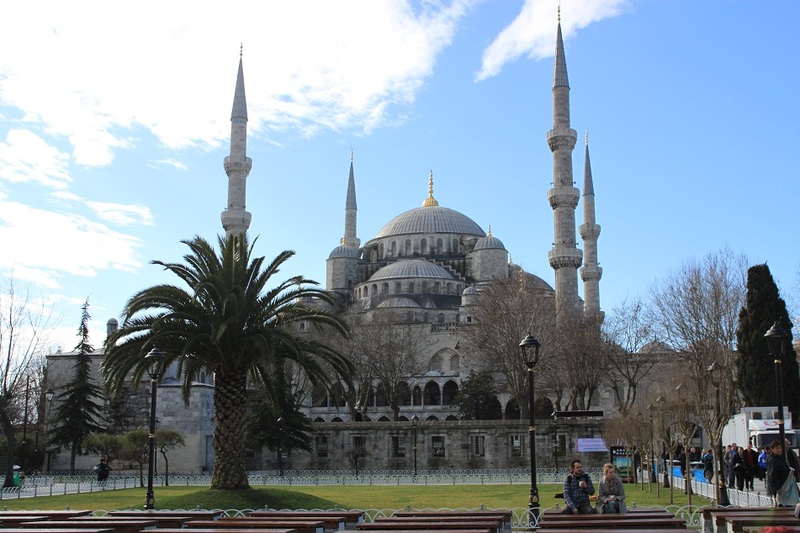 Loving your Istanbul posts Bama 🙂 As awe inspiring as the Hagia Sophia was, it was the exterior cascading domes of the blue mosque, that I found most enchanting! Beatiful shots – has added this to my ‘must see’ list – thank you! 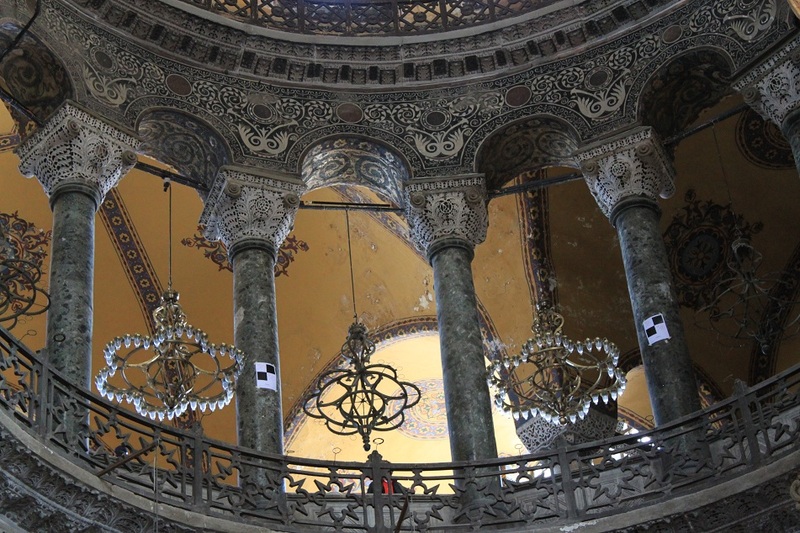 You won’t regret putting Hagia Sophia and the Blue Mosque in your must-see list, Abby! Thanks for dropping by! Thanks Stephanie! New Zealand has always been on my wishlist for quite a long time. Basically I’m tracing back the trails that many people have left. It really is an amazing world! My grandmother said New Zealand is so beautiful! Her favorite place to travel was Egypt. :) She loved it. From the pictures of it, and also from the Lord of the Rings Trilogy, I can tell it is such a beautiful country indeed! As for Egypt, it’s really sad to see how the country is coping with political turmoil. However I believe one day it will be a great country to visit again. It is so sad! Hopefully, it will be safe to visit again. We all surely hope so. Wow . . . amazing architecture with amazing pattern! Both structures put so many other religious buildings pale in comparison. They’re truly magnificent! Bama, you have well-captured the grandeur of both Hagia Sophia and Blue Mosque in your images and writing. Such breathtaking architectures and great pieces of history. 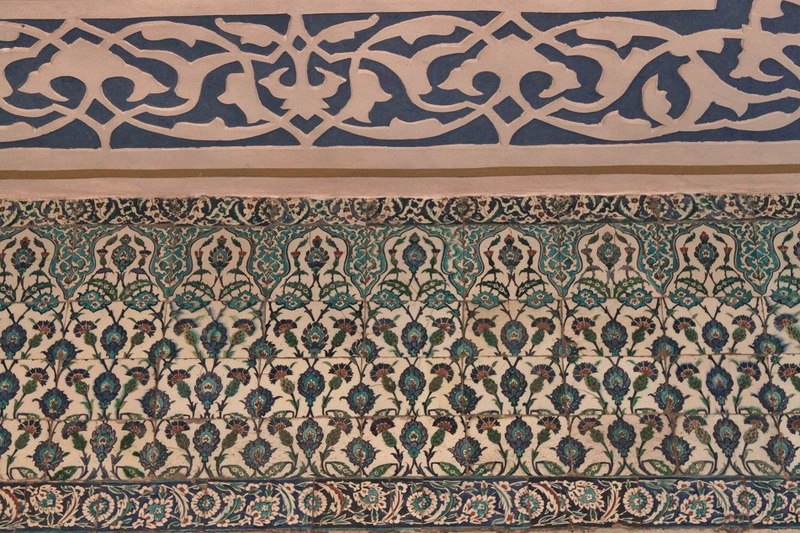 I love how you captured the different patterns in the Blue Mosque. Thanks again Marisol! 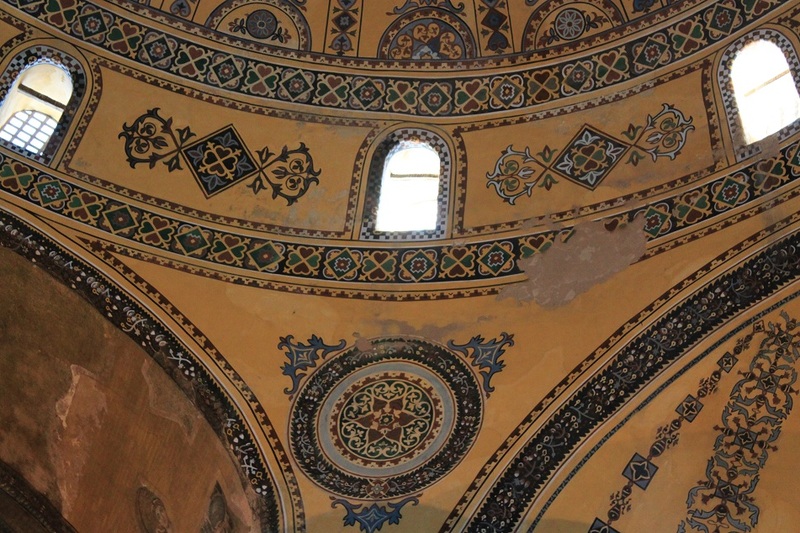 I wish to go back to Hagia Sophia one day as I didn’t explore all of its corners on my last month’s visit. Thanks for dropping by, Shane! Turki negara yg pengen saya kunjungi, dan 2 tmpt ini mjd salah satu tempat tujuannya..
Harus ke Turki suatu saat mas. Dijamin gak akan nyesel. 🙂 Thank you Mas Wisnu!